See Oahu in a new way. Take in beautiful scenic views and taste the islands at local food trucks, all while learning about the lesser visited historic sites associated with the World War II and Oahu's involvement in it. Our Oahu circle island tour begins with a visit to the Historic Pearl Harbor. Throughout the day we will take a step back in time and visit sites that changed the face of the Oahu landscape and created a defensive perimeter around Oahu. You will see remnants of shore defenses that protected Honolulu Harbor and Pearl Harbor, and military runways consumed by time. These tours are conducted in a small group setting with a maximum of 12 individuals per tour. 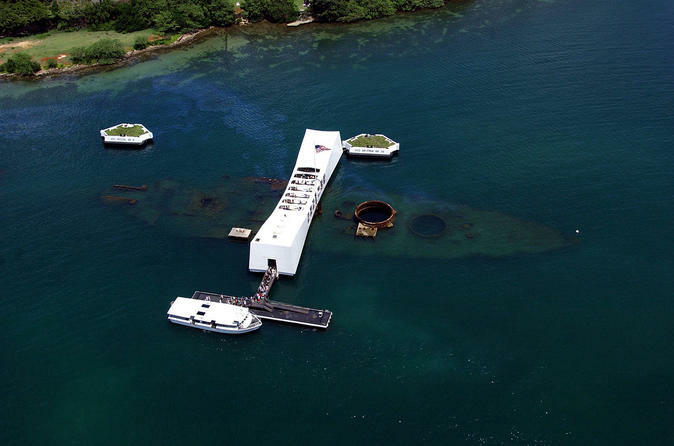 Following your visit to the Arizona Memorial, we will explore the island of Oahu, taking in breathtaking views, an amazing lunch, and some of the hidden spots related to the war you would never see otherwise.